Moderne ein Schlafzimmer in sich geschlossene Haus mit herrlichem Blick auf Wombat Hill und das Kloster. Die perfekte Lage für einen erholsamen Aufenthalt. Haustiere sind herzlich willkommen. Sichere Outdoor-Bereich für Haustiere. Setzen Sie sich auf der hinteren Terrasse und genießen Sie den Blick auf historische Daylesford bei einem Glas Wein. Nur fünf Minuten zu Fuß zu den Restaurants, Cafés und Einkaufsmöglichkeiten. Zimmer mit Aussicht für verwöhnte Haustiere. Lovely cottage with private garden, within walking distance to town and complimentary bottle of bubbly on arrival. What more do you need?! 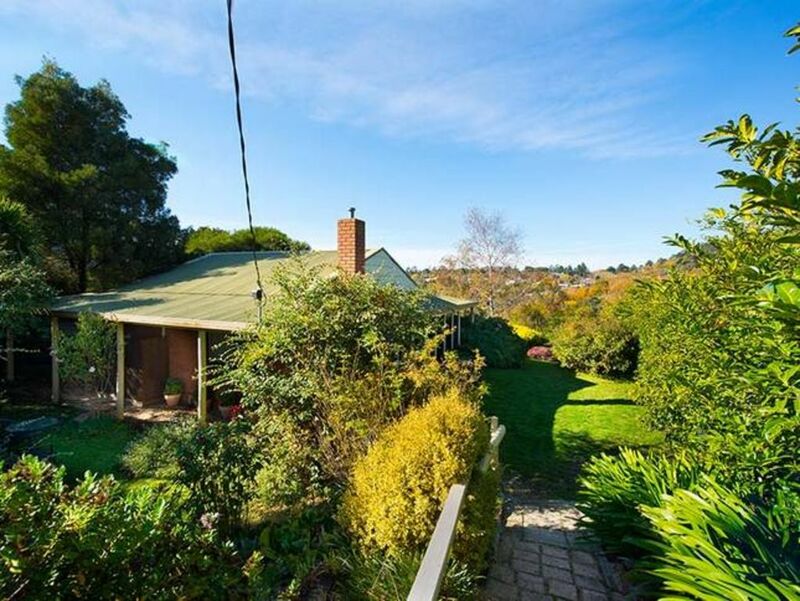 Comfortable and cosy cottage with a lovely view of Daylesford. The cottage had all we needed for a comfortable 2 night stay. The view from the back verandah was very peaceful and an ideal spot to enjoy an evening glass of wine while taking in the view. It was an ideal spot for my aging dog who was happy to just wander around the yard. The cottage was well set up with equipment, whether cooking or enjoying take away food. I would recommend it for anyone wanting a peaceful, relaxing break, with good views and within walking distance of the shops. Beautiful cottage. Beautiful town. Great experience all round. Great town. Heaps to do. Fantastic markets. It was our 6th time staying at Tara so needless to say we love the property. It suits us and our dogs Harley and Rose - we always look forward to our next visit. Thoughtful well appointed accommodation, great location. Very clean, well presented and appointed accommodation, extremely comfortable with lots of thoughtful extras provided. Lovely to be able to holiday with our dogs, however, disappointing that the property is not securely fenced for dogs to run free excepting of a small enclosed area overgrown with shrubbery at the edges. We really enjoyed our stay within walking distance to lake and shops.